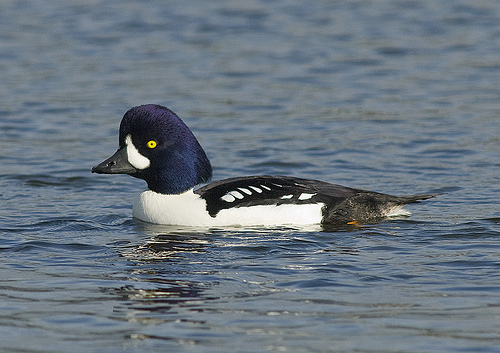 The Barrow's Goldeneye has a dark back and a dark blue head. 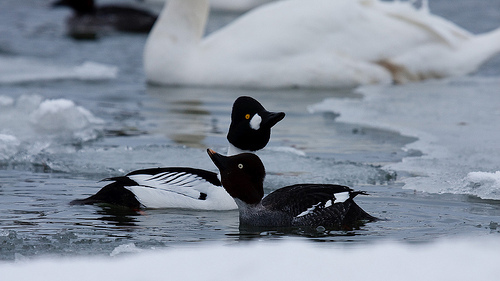 The Common Goldeneye has a dark green head. The head of the Common Goldeneye is rounded, the head of the Barrow's Goldeneye is more angular.